NCPAG FORUM: Moving Forward with the Millenium Development Goals: May Pera Pa Ba? “May Pera Pa Ba?” explores the likelihood of achieving the MDGs in 2015 not only by looking into the progress the Philippines has made towards attaining the goals but by assessing the country's fiscal situation and quality of governance as well – two areas deemed critical in creating an enabling environment that will foster operationalization of the identified targets. Attainment of the MDGs, particularly by low income and highly indebted countries, requires massive scaling up of resources and social infrastructure investments. When domestic resources are lacking, resource mobilization becomes critical. It is in this context that public policy and good governance are expected to lead to more efficient government spending, better aid utilization and more equitable resource distribution. Having adequate resources is necessary but not a sufficient condition to attain the goals. Good governance should provide an enabling policy environment necessary for creating strong institutions and developing sufficient implementation capacities needed to operationalize the targets and attain the goals. Governance, however, weakens with corrupt leadership and inadequate financial resources and technical capacity to manage an efficient public administration. This necessitates investing in improving governance by supporting civil society and promoting the rule of law, political and social rights, accountable and efficient public administration and sound economic policies. How well do you know your MDGs? • How do we fare in terms of achieving the goals? • Which country gives the least aid in proportion to GDP? • US. The US gives the least aid as a proportion of GDP. Although it gives more foreign aid in absolute terms than any other country, it amounts to only 0.1% of its GDP. The US gives $11 billion a year in global aid, and recently announced an increase of $5bn over the next three years. USAID's share in the Philippine ODA amounts to only US$ 20 million in 2004. Among the country's funding sources, the Government of Japan through the Japan Bank for International Cooperation (JBIC) remained as the largest source of ODA loans, accounting for 61% (or US$6.5 billion with 73 loans) of the total ODA, followed by the World Bank (WB) with 13% (or US$1.4 billion with 26 loans) and Asian Development Bank (ADB) accounting for 11% (or US$1.1 billion with 35 loans). • Do we have enough money to implement the MDGs? A study commissioned by the UNDP for the UN International Conference on Financing for Development revealed that the financial shortfall in attaining the basic social sector goals (education, health and water and sanitation) alone from 2002-2010 would be PhP 122.4 billion under the Medium Term Philippine Development Plan (MTPDP) 1999-2004 economic assumptions, and PhP 352 billion under an unchanged policy regime. The paper estimates the resource gap to range from an additional 2% to 5% of the central government budget. One limitation of this study though, is the non-consideration of local revenues in estimating the resources available for MDG implementation. • Are MDG funds reflected in our national budget? Yes. In fact, the programs and projects in the Medium-Term Public Investment Program (MTPIP) 2005-2010 that are supportive of MDGs amount to P1.74 trillion, about 81% of the total MTPIP requirements for the medium term. Of this estimate, the national government is expected to finance the biggest share amounting to P718.2 billion, followed by the government-owned and controlled corporations (GOCCs) and government financial institutions (GFIs) with P484.7 billion, and the private sector and local government units with P473.9 billion. Grant financing is expected to share P67.2 billion to the coffers to meet the MDGs. • How much was spent on financing the MDGs? How was it affected by our huge debt burden? The national government spent PhP 192 billion (44% of the total national government expenditures) in 2004 for social services, in addition to the PhP 36 billion spent by the LGUs. Although this item is exempt from budgetary cuts, delivery of basic social services still suffered due to the government's limited fiscal flexibility. Debt servicing for interest payments alone took almost 1/3 of the 2004 budget, partly causing the proportion of national government's social expenditure to GDP to decline from 6.35% in 2000 to 5.1% in 2004. Inflation and high population growth rate likewise exerted pressure on real per capita spending on health, education, social security, welfare and employment and housing, forcing government agencies to work with reduced budgets that further widened the financing gap for the MDGs. • What critical areas of development should the Philippines invest in? Millennium Project Head Professor Jeffrey Sachs proposed poverty mapping, investment strategy and financing strategy to meet the MDGs by 2015. He identified the three critical areas for investment: human capital, physical environment and infrastructure. • Some people, even high-ranking officials in the bureaucracy are still unaware of the MDGs. How do you make them known to all concerned? The government has launched two Philippine Progress Reports on the Implementation of the MDGs and has conducted consultative workshops to monitor, mainstream and advocate it to development partners. Legislative briefings were also made in the Senate and House of Representatives. Roundtable discussions to encourage Congress and Senate in discussing urgent and MDG-responsive legislation were also held by the Philippine Legislators' Committee on Population and Development (PLCPD), in partnership with NEDA, United Nations Resident Coordinator (UNRC), United Nations Population Fund (UNFPA), Senate Economic and Planning Office (SEPO), Congressional Planning and Budget Department (CPBD), Philippine Business for Social Progress (PBSP), People's Legislative Advocacy Network (PLAN) and Social Watch Philippines (SWP). A Special Committee on the MDGs was also created in the HOR. For the civil society initiatives, SWP developed the Social Watch Monitoring System to ensure that national goals and strategies are translated into concrete programs and projects at the local level. A Conference Declaration was also made, embodying the civil society's commitments to actively monitor the implementation of the MDGs. Meanwhile, the PBSP led the business sector in crafting their framework for action. It shows how business can help attain the MDGs through core business, social investment and policy advocacy. The UP-NCPAG, on the other hand, is a staunch advocate in mainstreaming the MDGs in the Association of Schools of Public Administration in the Philippines (ASPAP) and in LGUs. • How do we make sure MDGs are fulfilled? The National Economic and Development Authority (NEDA) heads the expanded Multisectoral Committee on International Human Development Commitments (MC-IHDC) which monitors, evaluates and reports on Philippine compliance to MDGs. DILG Memorandum Circular No. 2004-152 was also issued to provide LGUs with a menu of programs and projects they can choose from to localize the goals and targets. Moreover, the Medium Term Philippine Development Plan (MTPDP) 2004-2010 cites the MDGs not just as priority goals but a commitment to ensure a brighter prospect for all Filipinos. Likewise, the MTPIP 2005-2010 – the critical link between planning, programming and budgeting, has identified investments per MDG goal to account how much goes to MDG programs, activities and projects. The business sector, civil society organizations and donor community are also committed to helping the government achieve the MDGs. • With our fiscal problems and burgeoning population, how do we finance the MDGs? The government has embarked on administrative and legislative measures to increase tax collection and savings generation. With the limited government resources to finance all MDG investment needs, the LGUs, private sector and civil society are also being tapped to provide support in meeting the other targets. Moreover, the government aims to expand microfinance services to the poor, tap OFW remittance, improve ODA utilization, right-size the bureaucracy and undertake privatization to increase and better manage public resources. Currently, proposals on debts swaps such as debt for equity and development/poverty reduction are being discussed to accelerate and meet the required spending for the MDGs. Considering the country's huge debt stock, however, such initiatives may have only minimal impact on reducing debt. “Theory is always for some one and for some purpose.” What is the significance of the above statement in theory building? The social sciences have come a long way in trying to explain the workings of the world and its inhabitants. The statement above is testament to the evolution of human ought and the theories which we use to find causal explanations of social phenomena. This often-quoted statement by neo-Gramscian Robert Cox is an avowal that we are far from omniscient beings, and that all that we are and all that we think and believe are products of the environment and the conditions we live in. The foundationalist (or rational) theories of the early days claim that there is an absolute truth out there to be discovered and unearthed by all-knowing theorists and scholars. While the scholar is the subject, “reality” is his/her object to be studied and explained. These “subjects” then make assumptions about the world we live in and base their actions on these “truths.” The danger of forming a view of the world through particular lenses is that of transmitting one’s own normative values based on one’s life experiences and interests. Consciously or unconsciously, according to the statement above, we as humans unwittingly transmit our own biases to the assumptions we make about the social world. Rationalist/Foundational political theories such as realist and liberal thinking have even been accused by neogramscians of “maintaining the status quo,” the status being; there are people oppressed in the world and there are those who oppress them. If one dissects Realist theory of IR through this neo-Gramscian point of view then it certainly seems obvious that the discourse on world politics focuses on “great power” rivalries and says little about “non-powers” like the Philippines. Does this means that the 80 million inhabitants of this particular state matters little as well? Non-foundational or reflectivist theories of the social sciences, curiously enough, trace their roots to the humanities. The “post-modern” turn began through the study of words, through linguistics. Swiss linguist Ferdinand de Saussure began the “revolution” in the 1920s by declaring that there is no “truth” and that language shapes truth. Meanings are intersubjective agreements in that definitions of words and concepts are agreed upon by individuals although the notion/idea behind the word or concept is not necessarily uniform. The word “suffering” triggers different connotations between you and I. My idea of suffering could radically differ from yours. And so, with the revolution in linguistics colonizing sociology as well as the other social sciences, the Subject has been declared dead. If there can be no factual, observable reality out there from which we as subjects are separate, how can we form “objective” thoughts or opinions about the world we live in? How can we build theories that try to explain the world “objectively”? All at has come before, all that has been written, al that has been believed are now put into doubt. All that was and is is questioned by reflectivist theories. Critical theorists (tracing their roots to Gramsci) claim that rational theories are simply problem-solving, uninterested with emancipation of those who suffer in the world today. The discourse on traditional international relations especially during the Cold War has marginalized the dispossessed. The “non-powers” are only studied in so far as they affect or figure in great power politics. Feminist theories on the other hand questions the masculinity of IR. They claim that the discipline of IR itself has been formed by men, with the normative values and biases of men. The recognition that there is a female perspective different from and certainly not inferior to the male perspective is crucial to the “destruction” of what we thought was “real.” While feminism has many variants (Standpoint, Liberal, Marxist), all are essentially in agreement that there is urgent need to frame the world through female eyes. The shift from the individual as a Subject to the individual as an object has implications that shake the foundations of our core beliefs. Questions like; “Is the God of the Aramaic bible the same as the translated English version of Henry VIII’s Anglican Church bible and has there been changes as the ‘word of God’ written by human beings been translated to many languages with different versions in the past 2,000 years?” These questions point to the profundity of the death of the Subject felt in various disciplines of knowledge-formation. Do we really “know” what we think we know? Compared to the natural sciences, the social sciences have always been suspect. With no mathematical equations or reproducible experiments to back data, the social sciences seem to explain phenomena with nothing but air. With the arrival of reflectivists theories, this is even more evident. But the science of the social deals not with rocks or plants or atoms but with human lives, is it not reassuring that there be as many versions of truths as there are thinking individuals? This film appeals to me in so many levels, its difficult to explain. It talks about Africa (and you know I believe I was an African in a past life), of poverty, of foreign policy, of the greed of capital, of humanity. It will appeal to those whose horizons do not stop at the water's edge. It will appeal to those with messianic tendencies. It will appeal to cinéastes with a taste for incredibly well-made and meaningful films. For an English-language movie with recognizable stars, its measure of social maturity can be startling, but it's also a bristling demonstration of the formal difficulty of liberal narrative, and of ambitious third-world tourist-cinema. When does the rapturous filming of, and gazing upon, poverty become capitalization, and class shame become entertainment? It helps that The Constant Gardener is itself concerned with the profound discomfort of postcolonial activity in Africa. Even well-intended white interventions raise more questions about responsibility and conscience than they answer; le Carré is peerlessly adept at rephrasing those questions in fictional terms. This isn't lost on Meirelles, whose Miramax moneymaker City of God has been both revered and slammed for its pow-whiz-splat pyrotechnics but which also maintained the maze-like plotting of its source novel. A master of offbeat compositions, Meirelles cannot help overheating his Avid, and the new film has City of God's Tourette's-esque editing strategy. For its first third or so, The Constant Gardener bops between now and then, joy and grief. Now, Justin Quayle (Ralph Fiennes), a shy, low-rung British diplomat and horticultural hobbyist in Kenya, learns that his activist wife was found dead on the veld; then, Quayle meets outspoken lefty Tessa (Rachel Weisz) in London, falls in love, and decides at her prodding to take her back with him to Africa. Yeah, ok. So this is a forwarded e-mail. Little written output from me these days...I haven't felt like writing lately :( Anywho...hope you had some laughs! The countdown is on- in 7 days' time Britain converts to the Euro. It's the biggest opportunity the criminal world has ever had. Billions of sterling head for the incinerator. When a railway heist goes wrong and an enormous bag of money falls from the sky into the hands of Damian and Anthony, there's only one thing to do- spend it like there's no tomorrow....But how can a 7 and 9 year-old hope to spend a quarter of a million quid a week? Two detectives interrogate a retailer called Hubert Verkamen in a Brussels police station. He is suspected of the brutal murder of an entire family. The police officers are convinced that Verkamen is a notorious drug trafficker whom they have never managed to catch red-handed. Verkamen denies the charges but decides to play along with them and thus begins a sophisticated game of cat-and-mouse during which Verkamen pretends to become the criminal they think he is. Mertsi, an idealist, who even went to war as a volunteer and returned crippled. His overwhelming idealism transforms itself into a small act -that of clipping a dog's nails- and becomes an obsession, and in the end- fails. As part of a job that he is promised, Xavier, an economics student in his twenties, signs on to a European exchange program in order to gain working knowledge of the Spanish language. Promising that they'll remain close, he says farewell to his loving girlfriend, then heads to Barcelona. Following his arrival, Xavier is soon thrust into a cultural melting pot when he moves into an apartment full of international students. An Italian, an English girl, a boy from Denmark, a young woman from Belgium, a German and a girl from Tarragona all join him in a series of adventures that serve as an initiation to life. Great expectations and great dreams. At the age of 13 Jana has to relocate from Vienna to her grandmother’s home in the countryside. Deeply shocked by her parents’ divorce she tries to find warmth and orientation outside of the family. But the strict confines of catholic culture make her become a rebel and let the conflict with her mother escalate. At the end of summer Jana is on the brink of growing up and experiencing her first moments of love. She's blond, she's tough, and she's untouchable : the femme fatale of Berlin-Wedding's backstreets. Coolness weighs heavily on Kroko's eyelids. It could be mistaken for boredom - if it weren't for the edge on her voice and her ice-cold readiness to walk right over anybody who stands in her way... She's just as fierce when she's out to have fun, but one of her joy rides ends in a crash and the juvenile court condemns her to do welfare work in a housing project for disabled people. A romantic comedy. Anna is a young woman in her early thirties. When her lover Dirk (a doctor would you believe?) breaks up with her because he wants to give his marriage a chance, she totally freaks out. For her, no more men. Never again! Ever! Naples in the 80s. Two men with the same name, Antonio Pisapia, are famous and successful: one is a pop singer, the other a soccer player in a Major League team. They have nothing in common, except the name and a destiny of failure and disillusion, when their professional and personal life suddenly collapse. At this point they meet only once, by chance .. The finale is intriguing and unexpected, proving the ability of the young director who is currently considered the Italian most promising author. The documentary film Extranjeras (Foreign Women) shows the diverse aspects of the lives, hopes and experiences of various immigrant women living in Madrid. A fresh and different look at the social phenomenon of immigration in contemporary Spain. The emotional and riveting drama about three adults caught in a love triangle and the resulting devastating consequences. Written by Ingmar Bergman, adapted and directed by Liv Ullmann, Faithless is loosely based on a true episode in the life of the Swedish director. Fantasy fun drama "Mortinho por Chegar a Casa (Dying to Go Home)" portrays a Portuguese immigrant in Amsterdam, who is killed in an accident to awaken in a cemetery as a ghost. Realizing that the only way he can find peace is to have his bones buried in his native land. Santu leaves for his hometown to seek help from his family. I've opened shop at Ebay Philippines. You guys might like to check out my wares!! I've got mostly books, but please drop by every now and then for new stuff on offer. Thanks! President. She haunts me even in my comprehensive exams. Gah. PRESIDENT Gloria Macapagal–Arroyo on Monday evening left for the United States on a commercial flight to attend several meetings at the United Nations highlighted by the Security Council meeting on September 14, which she will preside. What is the significance of President Gloria Arroyo's trip to the UN Security Council? In the international community, it is something to note that the Philippine president is the first woman and Asian head of state to preside over the most "powerful" (but for the most part inutile) UN body. But perhaps the trip is more significant to the survival of the Arroyo administration. It is a welcome reprieve for the crisis-ridden Arroyo government. Her trip abroad could very well serve as time to strategize on how she could further survive the onslought of the rabid opposition. Also, it is good press for the Philippine president to show confidence that she can temporarily vacate her seat of power as if a salivating pack of dogs weren't yipping at her heels itching to tear off a piece of her tough hide. If anything, this opportune UN trip is manna to the administration. It not only gives her time-out from the mud-slinging but also a time to repair the damage done by the Angelo de la Cruz hostage crisis to Philippine-US relations. Now she can personally mend fences and ingratiate herself back into Dubya's embrace. Great. When she bangs the gavel and declares open the summit on September 14, she will have demonstrated to the rest of the international community that the current Philippine president is the duly elected, legitimate head of state. 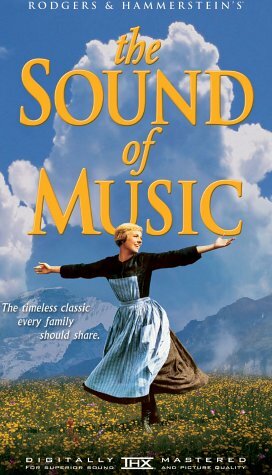 I first saw the Sound of Music when I was in gradeschool. I remember having had warm, fuzzy feelings while singing along to "Doe a deer a female deer" even though I didn't know the words exactly. I'm sure all of you will agree its a fine piece of filmmaking. It hearkens to an era when blockbusters were highly entertaining AND wholesome. Flipping through the stack of DVDs at home, I saw the movie again last week. Surprisingly, I was singing right along with Maria and the kids once more. I even found the young Christopher Plummer quite attractive. Today while surfing, I came across an interesting article on this classic. The Sound of Music offers us our religious inheritance in a form we can all accept. Its plot is a fairytale version of modern Christian history. The Reformation began with someone leaving a monastery; so does this film. In both cases the motivation for leaving is a conviction that God's grace cannot be confined to a religious institution, but must be expressed in the midst of the world. Because Maria leaves her convent on good terms with her mother superior, we are apt to miss the radicalism of her departure. She is a fantasy-faith version of Martin Luther. The entire plot is a fantasy rewriting of the Reformation, in which the Catholic church is glad to be supplemented by this alternative vision. She becomes the governess to an aristocrat's children. This is a representative Protestant/secular identity: her role is now economic. And the nature of her work is characteristically modern: to educate and to discipline. Her employer, a widower, seeks order in rational certainty. He has introduced a cold, militaristic atmosphere into his bereaved home. He symbolises the Enlightenment. I've braved many, many things in life. I've traveled alone to another continent when I was 20. I've had my gums sliced and diced twice by my sadistic dentist. I went to a Bon Jovi concert alone when I was I of 13 years old and almost got kidnapped. But I couldn't for the life of me, put a damn contact lens in my eye. I tried, god knows I tried many, many times. I've got a sore right eye right now as proof! But when I went to my favorite optometrist this afternoon to get my eyes checked, I thought, why not try contacts this time? I've been wearing glasses for three years, time for a change right? Wrong. When the optometrist (Che) was putting them in, no problemo. But when it was ME trying to put the little sucker in, I couldn't. Simple procedure right? Pull up upper lid, pull down lower lid, put thin plastic film on index finger and....slowly, slowly, poke! Aaargh! I tried maybe 10 times. I did! But I couldn't place them in correctly. Why? Because my brain was resisting. Mightily resisting. Its not normal to poke one's eye. Or put foreign objects on or in them. It simply isn't normal! I remember how my eyeball felt right now and I'm cringeing! Am I a simple coward? Nooo. I figure, its my body and mind's natural resistance to something it has long been trained to avoid. Haven't we learned the lesson (often painfully) long, long ago when we were tots that our eyes must be protected at all cost?!? At all cost! And now, as an adult, one must suddenly forget such a valuable lesson hard-learned all these years?!? It is not so easy my friend. But hey, tomorrow's another day. Maybe I'll muster enough gumption, set my mind to it...or, maybe not. On a live fund-rasing telecast for the victims of hurricane Katrina, hip hop star Kanye West known for his creative and dare I say intelligent lyrics, dared say that "George Bush doesn't care about black people." Now that takes HUGE balls. Download the video clip here. Kanye: [abandons teleprompter] "I hate the way they portray us in the media. You see a black family and they say we are looting, you see a white family and they say they are looking for food. And, you know, its been five days because most of the people ARE black. And even for me to complain, I would be a hypocrite because I would turn away from the TV because it's too hard to watch. I've even been shopping before even giving a donation, so now I'm calling my business manager right to see what is the biggest amount I can give. And just to imagine, if I was down there and those are my people down there. If there is anybody out there that wants to do anything that we can help about the way America is set up the help the poor, the black people, the less well off as slow as possible. Red cross is doing as much as they can. We already realize a lot of the people that could help are at war right now, fighting another way. And now they've given them permission to go down and shoot us. Kanye: GEORGE BUSH DOES NOT CARE ABOUT BLACK PEOPLE. New Orleans is a city of 485,000 people. About two-thirds of the population is African-American, and about one-third lives below the poverty line. While the evacuation order was issued Sunday morning, an estimated 100,000 people were left behind. They were overwhelmingly the poor, the elderly, the sick -- and African-American.